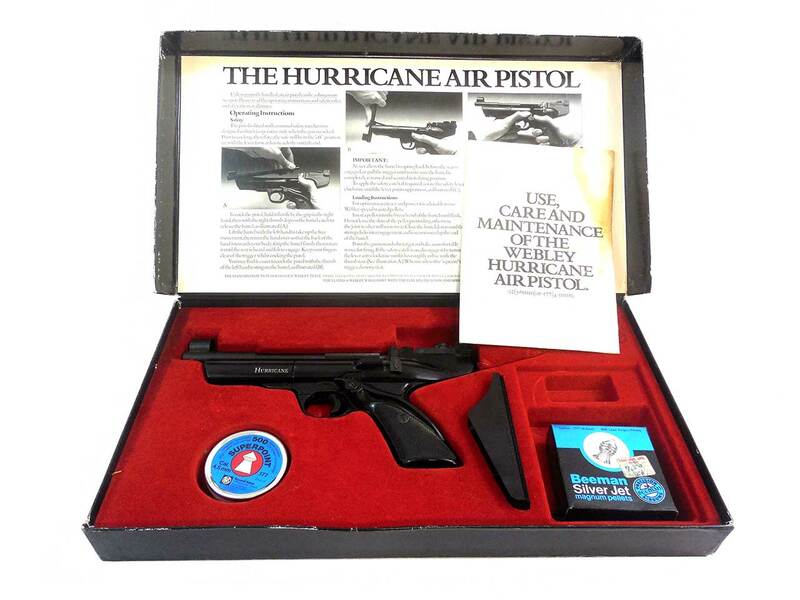 This is a first variant .177 caliber Webley Hurricane in the factory box. 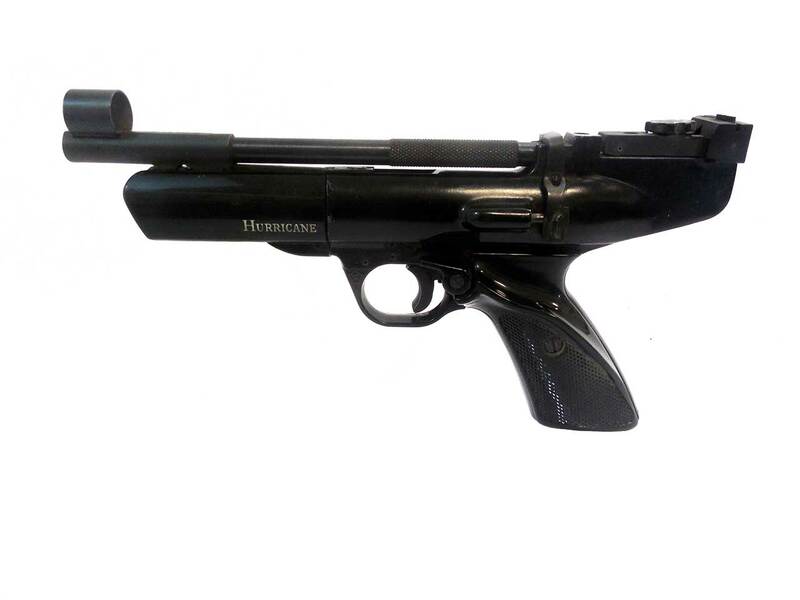 This one is just marked “Hurricane” on the forearm, and has a barrel housing under the front sight. 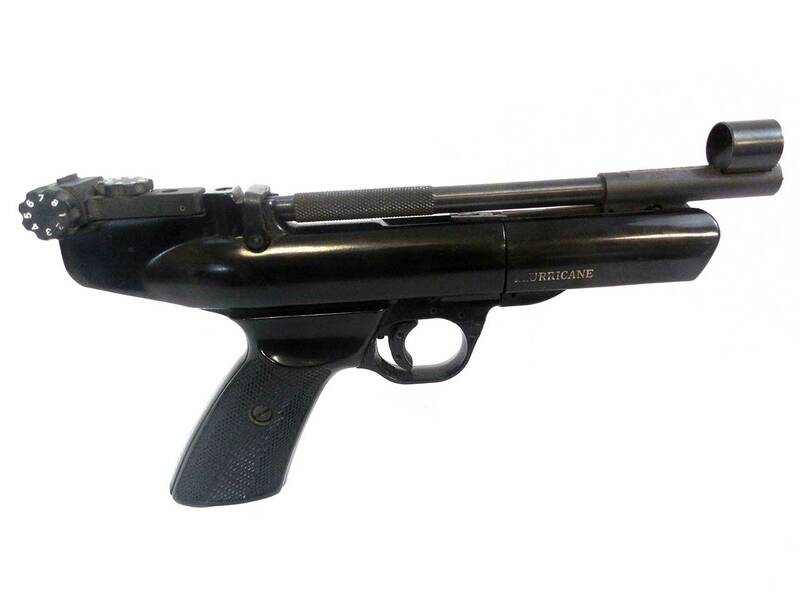 This gun features barrel cocking, with hooded front sights and micro adjustable front sights. It also comes with detachable scope rails for mounting a scope. While there is no scope included, the formed depression in the box allows for a scope. It includes original literature, plus one full box of 500 ct Silver Jet Magnum pellets, and one unopened tin of 500 ct Superpoint pellets. The metal on this gun is in great shape, retaining beter than 95% of the original finish, and there is very little wear on the grip. 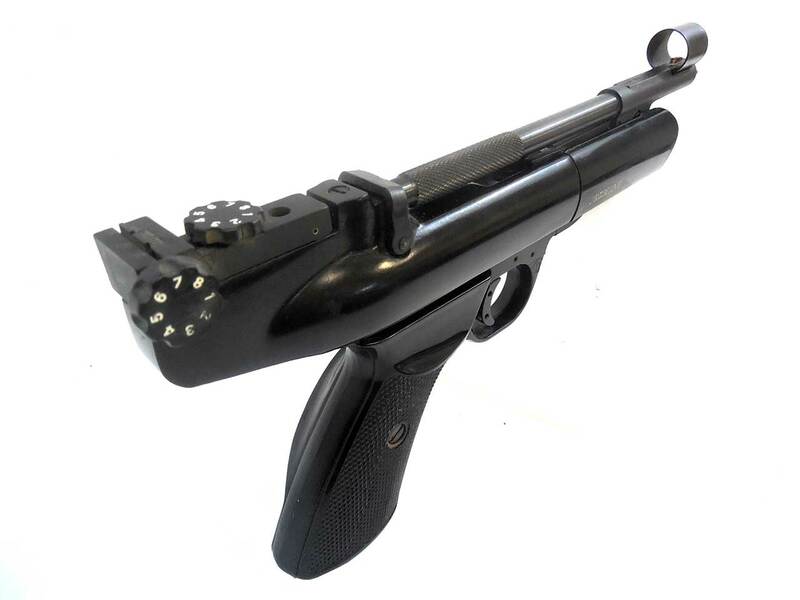 This gun was tested in our shop at around 338 fps using lead pellets.